Discussion in 'Home, Auto, Hobby and Computer Tech' started by AlexDaGator, Mar 27, 2018. 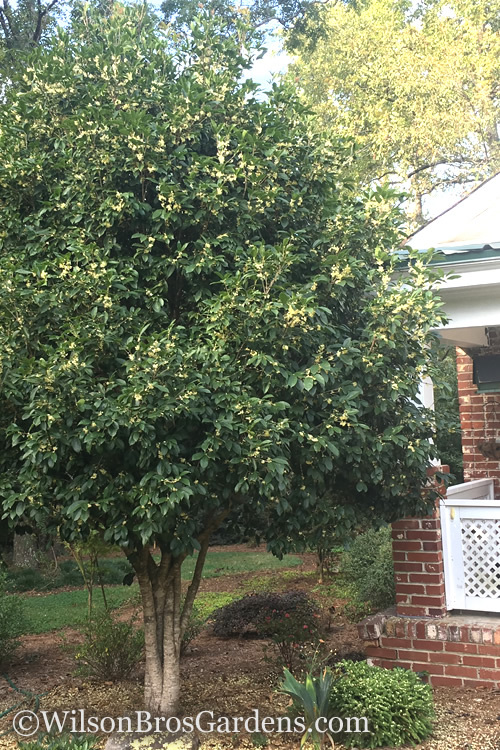 Had two small holly trees in the front yard in two separate little islands set well out from the house. The holly trees never looked good and were basically blown over by the hurricane. I cut them down a while back but it’s high time to pull the roots and plant something new. Anything I plant is going to get lots of sun and wind. Any ideas? Maybe palms? Or small flowering trees? Would love some color. Can’t get too big. The holly trees were probably 15’ tall with a trunk radius around 6”. I live near the Space Coast, inland though (no salt fears). We have 6 planted around our house and never trim them all the way back. They are probably 12 feet tall now. Love them in bloom but hate those months when they are bare. I’m torn on those. Do they bloom enough to outweigh the bare months? I’m not sure how long they bloom and how long they’re bare. Yeah, they are bare here in N Fla. about 3 months out of the year. But they are very pretty when in bloom. Ours prob bloomed for 3 months. I would also say one of the new magnolias. But they grow sooo slow. If you go palm, I’d plant Sable Palms. We had Queen Palms up in Belleview and they froze out. Your best bet is to contact your IFAS County Extension Office. Access Gator awesomeness and put it to work for you. They lovecto help and/or will connect you to their Master Gardeners. Put a couple sycamores or pin oaks. Does it have to be a tree? I'm a tree hater so I'd go with maybe Gardenias surrounded by Crotons because they are very hardy and you can't beat the color splash effect. I have a bed at my house where we took out an Oak tree and I planted a Gardenia in the center put 6 Corkscrew Crotons which only get about 2.5 feet tall evenly in a circle around it and then planted these yellow schrubs, can't remember the name, in between the Crotons and left room for some annuals like King Coleus in between the other plants. It looks pretty damned awesome if I say so myself.....Mulched it in and everyone who comes to our house comments about that bed. We have this out front and like it. Confederate Jasmine is nice, palms depending on the how much you want to trim to keep them looking nice, might want to stay with shallow root. Stay away from Birds of Paradise if it is close to the house, the root clusters grow, and about 25-30 feet become a pain to trim. Crepe myrtle is stunning when in bloom. When not in bloom the bark is pretty if you keep the side branches trimmed properly. There are a lot of youtube videos about how to trim crepe myrtles. Also the crepe myrtles look good with outdoor lighting shining up into the tree at night. That palm tree that brad posted in a picture above looks like a winner. I'll put one up later today.